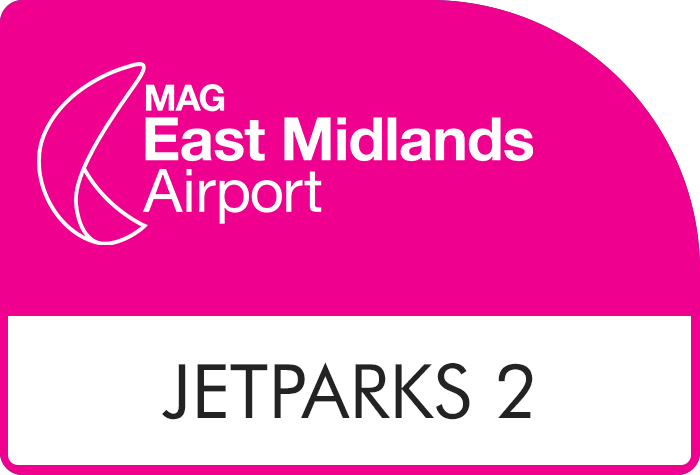 East Midlands Shuttle Economy 2 provides secured on-airport parking close to the terminal. Shuttle Economy 2 runs transfers 24 hours a day, every 15 minutes. Transfers take just eight minutes to reach the terminal. Remember, booking in advance online with Airparks can save you lots of money. Discounts of up to 70% off the on-gate parking price can be had on your East Midlands Airport parking when you pre-book; a great way to save some cash for your holiday spending money. Don't forget, East Midlands Shuttle Economy 2 is covered by our Best Price Guarantee. JetParks 2 is rated, on average, 4 out of 5 by 1,042 Airparks customers. Transfers:Transfer run every 15 minutes, 24 hours a day and they take just eight minutes to reach the terminal. Security: The car park has high perimeter fencing, CCTV and regular security patrols. This car park has been awarded the Park Mark for safer parking. The Park Mark means that you are parking in an area that has been vetted by the police to make sure that the site has measures in place to create a safer environment. Park Mark awarded parking areas are run by responsible operators who are concerned with your safety and the safety of your vehicle. On arrival at Shuttle Economy 2 East Midlands: Drive up to the machine at the entrance barrier and a ticket will be automatically issued. Keep this ticket safe as you will need it when you return. If a ticket is not automatically given, press the 'assistance' button and confirm your booking details. A ticket will then be issued manually by the operator. Keep this ticket safe as it will be needed on your return. On return to East Midlands airport: A regular transfer bus serves the Shuttle Car Parks with buses departing from the bus interchange. Once you've collected your luggage, please go to the arrivals area and follow the walkway between the airport information desk and Spar shop to the bus interchange. Please ensure you have your entry ticket to hand. Head straight to the exit barrier, insert your ticket and the barrier should raise automatically. If the barrier does not raise please push the 'assistance' button. Please do not insert your credit or debit card into the barrier or a further payment will be taken. Disabled facilities: Blue Badge holders may pre-book this long stay product and park in the Short Stay car park instead where dedicated spaces are available. Please ensure that your Blue Badge is clearly displayed and upon your return state that you have parked in the Short Stay car park when you present your entry ticket and booking confirmation to the Car park enquiries office (situated in the Short Stay car park).